Stormy Vineyard Haven harbor as Hermine meandered offshore Monday. Slow-moving post-tropical storm Hermine was still south of Nantucket Tuesday after lashing the Vineyard with wind and rain on Labor Day. 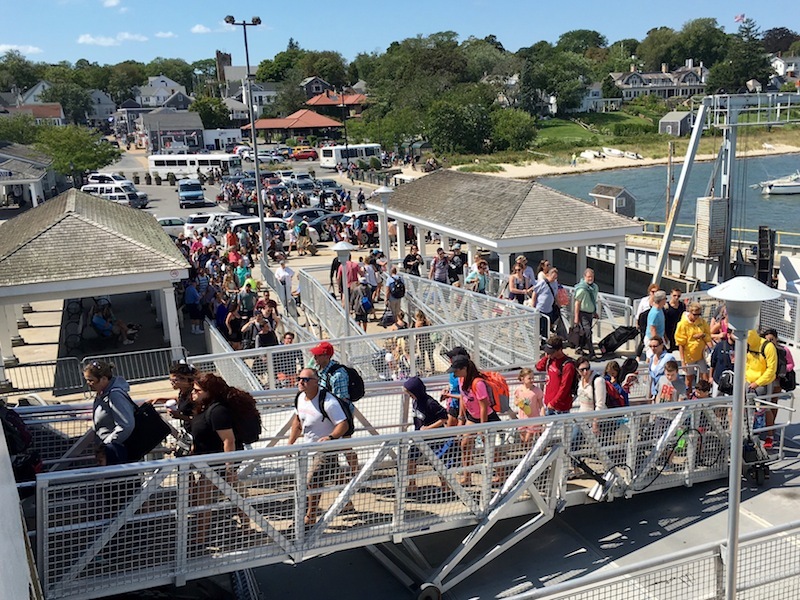 Ferries are operating again, but rough surf is expected through mid-week. Monday was a gusty, rain-spattered day on the Vineyard with ferries cancelled on and off throughout the day. Many visitors had left the Island early in the weekend as Hermine headed north, her path uncertain. 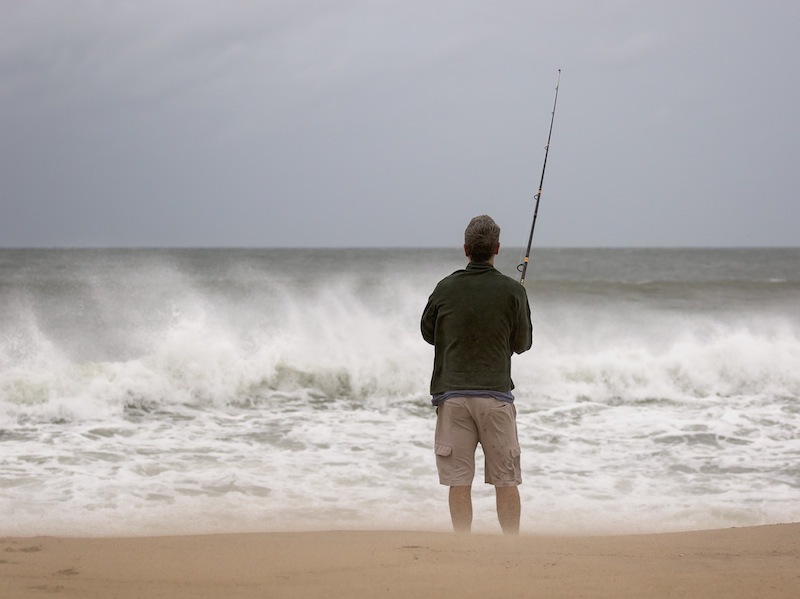 Warnings were issued for mariners and the Coast Guard was in a state of readiness. Later there were scattered power outages, with moderate erosion expected on east and south-facing beaches. Hermine was expected to drift slowly northwest before turning east and heading offshore, the National Weather Service said. Peak wind gusts reported to MEMA by Skywarn observers on Monday included 53 miles per hour in Edgartown, 47 miles per hour in Vineyard Haven and 56 miles per hour in Aquinnah. On Sunday harbors emptied as winds kicked up and many visitors cut short the long holiday weekend to leave ahead of the storm. Hermine crossed the Florida Panhandle early Friday as a category one hurricane and has since been making her way north, brushing the Outer Banks of North Carolina early Saturday. Called a post-tropical cyclone, the storm is moving slowly, meandering offshore, the weather service said. The window for tropical storm-force winds extends into Wednesday morning. Preparations were under way on the Island all weekend. All passenger ferry service was cancelled. Surfers visited Philbin Beach Sunday afternoon in hopes of finding high surf, but mostly left disappointed. Trucks were pulling boats out of Quitsa Pond Sunday afternoon. 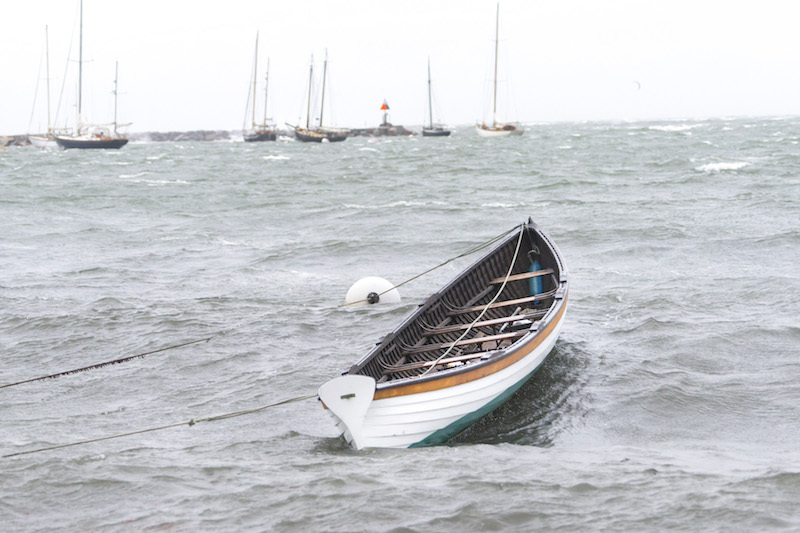 Commercial fishing boats in Menemsha were secured with double lines. 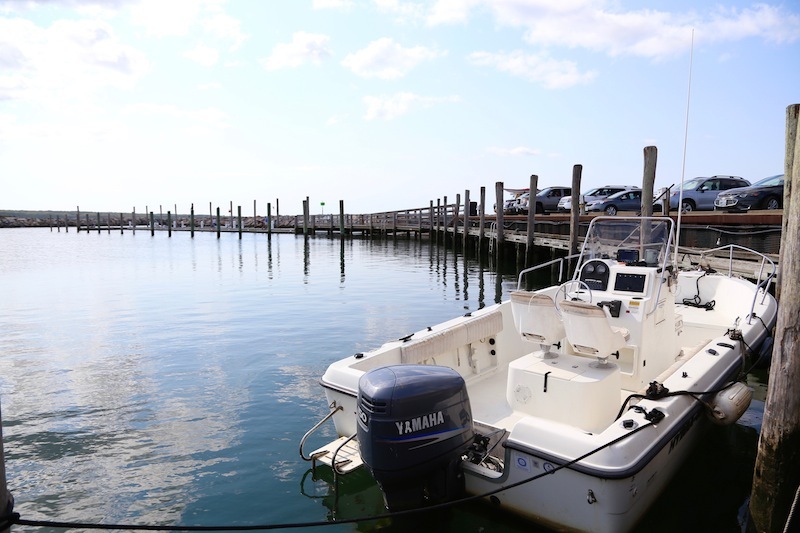 The harbor is "empty, empty like the middle of winter," assistant Chilmark harbor master Glenn DeBlase said Sunday morning. Under blue skies Sunday afternoon, there was a line out the door at Larsen's Fish Market. More photos of tropical storm preparations on the Vineyard and scenes from the storm. Wonder which ferries made it off the island on Monday, i.e. did we do right to leave early? Boats ran until the 6:15, but they also canceled the Governor runs. So if you had a boat before 6:15 that was not a Governor run, you were fine. If there were any radio warnings of the impending storm, we were in dreamland and didn’t hear them.